What is the height of your proposed deck? 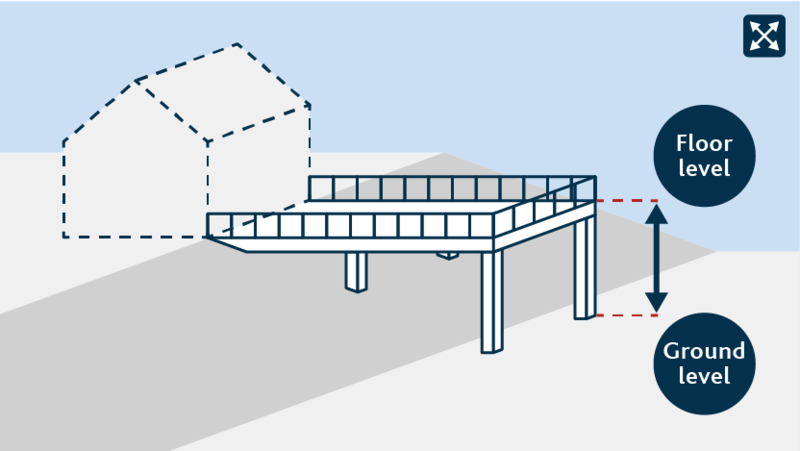 'Height' is measured as the maximum vertical distance between the top of the deck and the ground level. Will you be building a slatted or membrane deck? Slatted decksSlatted decks have gaps to allow water to drain freely. 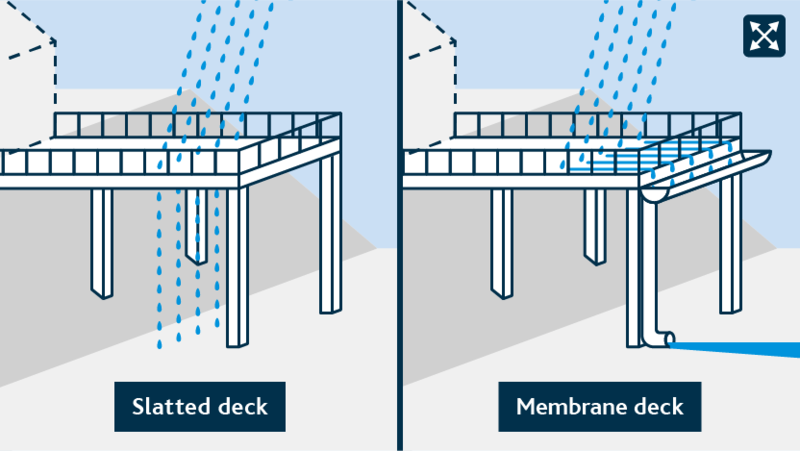 Membrane decksMembrane decks have waterproof membranes under the deck structure, to divert water to gutters at the lower end of the deck. You need to select an answer to proceed. 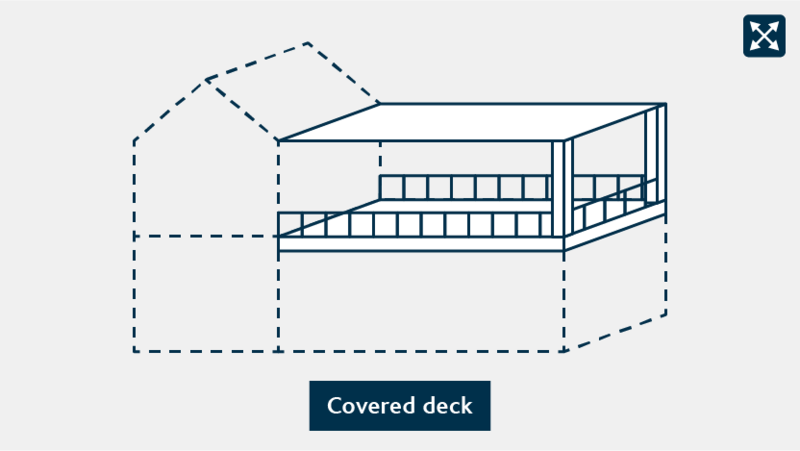 Will the proposed deck be covered or uncovered? Covered Uncovered You need to select an answer to proceed. As your project may be exempt from a resource consent, we recommendyou call us on 09 301 0101 or e-mail onlineconsenting@aucklandcouncil.govt.nz. You will need to apply for a resource consent for 'Adding a new deck'. According to the information you have provided, your deck will not require a resource consent. Safety barriers/balustrades are required where the fall is more than 1 metre. You will need to apply for a building consent for 'Adding a new deck'. an outdoor timber platform attached to a house or other building.